LG sure isn't skipping out on MWC 2018. The manufacturer is at the fair with the new V30S ThinQ. During a closed-door conference, LG showed us its new flagship, which focuses on artificial intelligence and certainly suggests something about the brand's strategy. I'll get straight to the point. There are two main differences between the V30S ThinQ and the V30: RAM and colors. The V30S offers 6 GB of RAM and 128/256GB UFS compared to the 4 GB RAM and 64/128 of the standard model already on the market. The two new colors are called Moroccan Blue (a blue with shades of green) and Platinum Gray (a darker gray). These are two variants with darker shades than in the past. There are two main differences between the V30S ThinQ and the V30: RAM and colors. No classic colors like black and gray: the new colors aim to be differentiators and replace those seen until now. No other news in terms of main hardware: processor, battery, camera, display...everything remains unchanged. 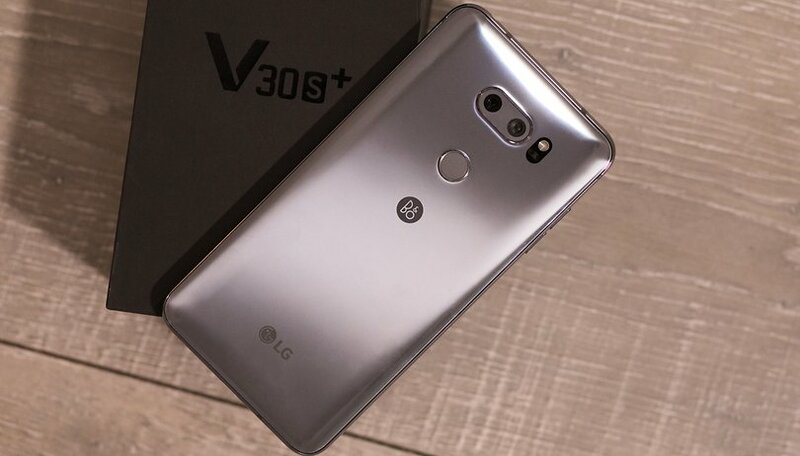 Another difference is that the V30S will hit the market with all the new artificial intelligence features already announced, but these will also be released on other devices through a software update. So, if you have a V30 in your pocket, do not despair because you can also take advantage of AI very soon. LG has been working on artificial intelligence for over a year, a technology that seems to have broken out in the smartphone world just a few months ago. Huawei has, in some ways, become the spokesperson for the integration of AI ​​on smartphones with its Kirin 970 chip, but it is not the only one that believes in offering the benefits of the technology to its users. Vision AI is the image recognition system designed to optimize the photography experience on the brand's new smartphones. The advantages offered are apparently similar to those we have already seen on the Mate 10 Pro: by pointing the camera to an object, it will be able to recognize it automatically and suggest suitable modes and settings for improved shots. This is possible thanks to the large database of images and categories created by LG in collaboration with other partners, including EyeEM. To optimize the shots when lighting is poor, Vision AI introduces Bright mode which records the level of brightness of the image taken in order to offer a better solution for the user to choose or not choose. Vision AI also allows you to take advantage of the automatic image recognition to help you with shopping, by searching for a product and showing you where to buy it at the best price. A bit like Bixby Vision. The artificial intelligence in the new V30S ThinQ is also for voice commands. The future is in voice, and we saw it clearly at IFA last year and with the growing number of smart speakers making their way into living rooms. Digital assistants are ready to help us on our smartphones. The only thing we have to do is get used to this method of interaction. And once we do, there will be no going back to tapping away on our screens for everything all the time. LG, which boasts a wide range of Smart Home devices, has not developed its own digital assistant, but has decided to collaborate with Google Assistant to allow its users to use their voice to launch apps and change the settings on their smartphone. If you're already familiar with Assistant, you'll appreciate the 32 voice commands from LG that allow you to interact with your smartphone's camera even more. There are actually 9 new commands introduced by the brand, added to the 23 already there since last year. Sometimes it's easy to be presented with a new device and say "what a bore, the brand could do more to surprise us, nothing new" but nevertheless underestimate the research and development necessary to implement new technologies in small devices like smartphones. The new variant of the V30 might seem like a small innovation compared to the new devices that we will see presented at MWC in the coming days, and it's interesting to think about why the brand may have made this decision. The purpose and importance of smartphones in our everyday life is changing. Smartphones seem to have reached the peak of their development and no longer generate all the wonder that they did until a few years ago. Given that, offering exclusive colors is one of the ways LG is trying to differentiate itself from its competitors. But in reality, the era of smartphones is not yet finished, it is simply moving on to another track, that of an increasingly connected reality. Maybe it will take a little more time to appreciate the brand's new strategy, which looks to the future, just as it takes more time to appreciate the advantages offered by AI ​​on smartphones. But, things are moving forward and it won't be long before we find ourselves interacting with our smartphones differently. During the LG press conference, Ji Youn Lheem, the brand's Chief Strategic Designer, spoke about what LG sees as the smartphones of the future. A single display that allows direct interaction with the device through the screen. That's all. A minimalist approach: get rid of everything except the screen. An interesting idea, no doubt, but when will we really be able to see it implemented? Will the next G series flagship show the first concrete steps of this interesting idea? This phone will be a huge fail.The s9 will wipe the floor with it. Again the 835 processer. Big deal 6gb's & 256gb's of storage. Overkill, I'm sure it won't come cheap. Better off with the 845 processer. Appears to be trouble in LG land!